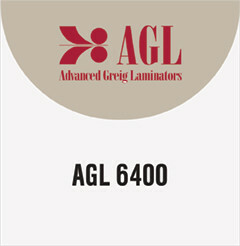 AGL 6400 laminates and mounts a 62.0" wide maximum thermal or pressure sensitive film and features pneumatically actuated nip roller and pull roll assemblies. Main supply rolls are equipped with a pneumatic clutch/brake assembly. This feature allows precise and repeatable film tension control as well as bi-directional unwind/rewind capabilities. 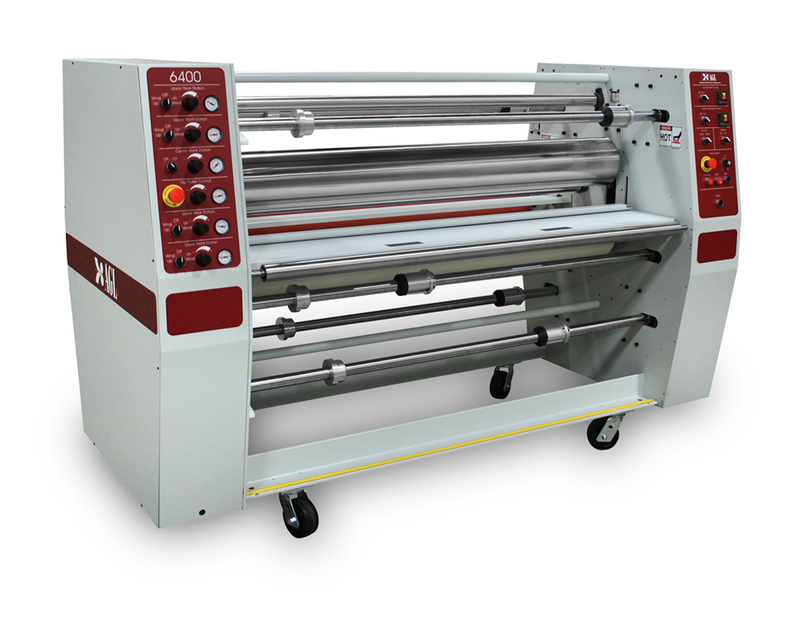 Dual laminating rollers equipped with internal electric heat up to 325⁰F.